Internal lubricant OK60 is the higher fatty alcohol, which meet the hygienic standards. 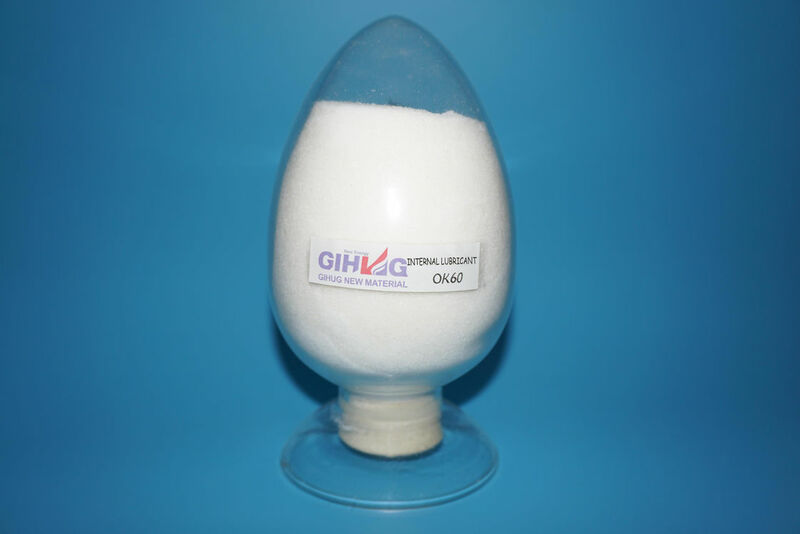 Compares with Stearic Acid, OK60 has better compatibility with PVC, is hard to precipitate. It can reduce the internal friction, while increase the flowability, and show stable internal lubrication. Used for production of soft and rigid PVC product, also for non-toxic transparent PVC products. Such as PVC compound, PVC transparent sheet, PVC foam board, PVC flooring, PVC pipe and fitting, aluminum composite panels, thermo shrink film. 25kg/Woven bag.No decomposition at room temperature, but should be stored in a cool and dry place. Keep away from hot, fire source, avoid direct sunlight. Recommended storage and mixing areas have good ventilation conditions to avoid inhalation. Transportation according to the general chemicals.